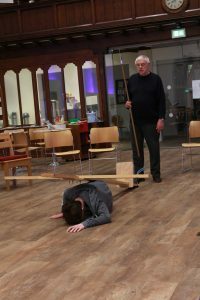 The rehearsals for our passion play ‘Born for This’ are in full swing and proving to be very moving. 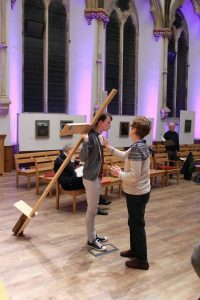 The music and drama are coming together really well and we are set for a beautiful performance of this musical version of the Stations of the Cross. We hope you can join us at 8pm on Good Friday (19 April) or Easter Saturday (20 April)! Following the death of Michael Etheridge in February 2016, his wife, Helen, kindly made Michael’s extensive collection of books (there are about 680 in total!) available to Vic and the Bristol & South Gloucestershire Circuit. The books have now been sorted and catalogued and you can browse a searchable catalogue of the collection here. The page also includes instructions for how to borrow books from their location at Vic. We are grateful to Helen for making this collection available to us and hope that it will enrich the lives, faith and learning of many in our congregation and circuit. Introduction: Victoria Methodist Church desires to develop its already rich music life as an expression of our worship and as a means of growing the church. To this end we wish to appoint a Music Scholar. We envisage the role as an opportunity for the Scholar to develop skills and experience in church music. Support and Supervision: The Music Scholar will work under the supervision of the Music Facilitator and in collaboration with the Musical Accompanist(s). Regular line management will be undertaken by the Minister. Work Outline: To work alongside the Music Facilitator, Musical Accompanist(s) and planned Preachers, during local university term time, to enrich and develop the worship of the Church through music. to support a wide range of music in worship, from the traditional to contemporary, and including music from the world church, Taizé and Iona. to perform as an accompanist in concerts and rehearsals for the same, as agreed with the Music Facilitator. Hours of Work: It is estimated that the role will require 20 hours each month. Remuneration: The Music Scholar will be paid £422 per term (see below*) with all agreed expenses incurred in the course of the role reimbursed, not including travel to and from the church. 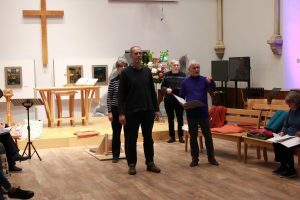 Access to the Church: Within the role, the Music Scholar will be given access to the Church for their own music practice, as long as this does not contravene Church Safeguarding Policy. Duration of Appointment: The appointment is for one academic year, this being understood as three terms*: mid-September to mid-December, mid-January to April, May to early July. Involvement in the Carol Service, and in Holy Week and Easter will be by mutual agreement, as will any possible extension. Manner of Appointment: Applications to be received no later than Sept 1st are invited in the form of a CV, and a paragraph expressing what applicants would bring to the role. Informal visits and conversations are welcome. Background: Victoria Methodist Church has a rich music life and we want to enrich this further as an expression of our worship. 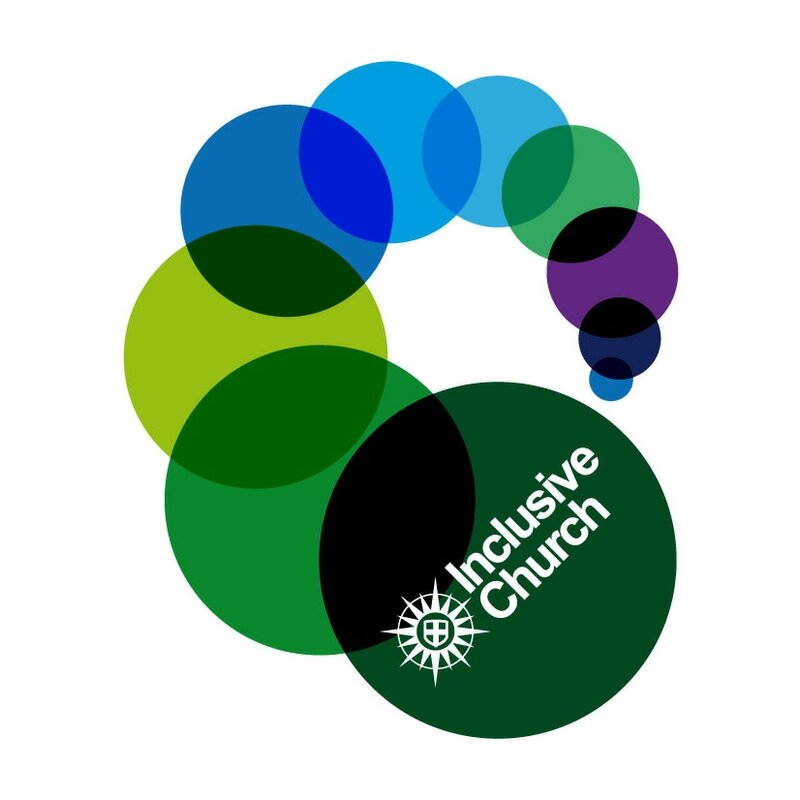 We are committed to social justice and to being an inclusive church, and rejoice at a diversity of ages within the congregation, including children, young people and young adults, some of whom are students. 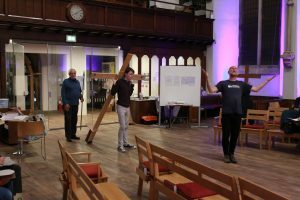 The vision of the church is to be “a Methodist Church which seeks to share the Gospel through encouraging lifelong learning and engaging with and through media and the creative arts”. 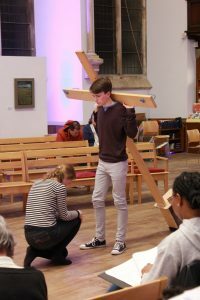 As part of our ambitions ‘Faith in the Future’ programme, we have transformed the sanctuary into a space which allows for a range of worship services; including traditional preaching services, Café Worship around tables, Messy Church along with food and creativity, and smaller more reflective evening services often using music from Taizé and Iona. The space is also used for a developing programme of exhibitions, concerts and drama, and is regularly used by a choir as rehearsal space. We have recently performed Mozart’s Requiem, with singers and musicians from within and beyond our own Church. The Church has recently refurbished its splendid pipe organ and acquired a concert grand piano. There is also a good quality electric piano, together with multiple music stands and music books. Regular Sunday services for worship take place at 10.30am and 6.30pm. Organ and piano provide the most regular accompaniment, with occasional singing and instrumental groups. The latter usually meet to rehearse on a Sunday evening before or after the evening service. Musicians range from beginners violin to Grade 8 and beyond, and from age 6 through to their 80’s. The Church has a Music Facilitator, Lyn Lloyd-Jones, who is paid for a limited number of hours, and currently one Musical Accompanist, Hazel Wickham, who receives a small fee for each service. The Music Scholar will work alongside these two key people, under the supervision of the Music Facilitator. 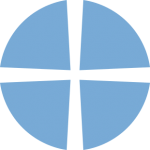 Worship services are generally led by the Minister, Richard Sharples, and by a range of Local Preachers, who have overall responsibility for the service. 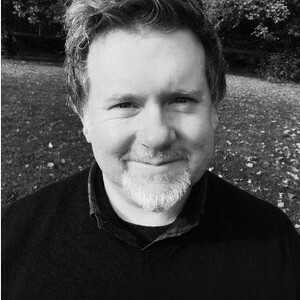 The Church has two Worship and Welcome Coordinators, David Pleasants and Joy Morison, who liaise with planned Preacher, Musicians and others to ensure worship takes place to everyone’s satisfaction and to the glory of God.